A homeless man was rescued from a row house that collapsed in Southwest Philadelphia early Saturday morning. It happened around 2:45 a.m. Saturday on the 6100 block of Yocum Street. The home itself was one of several on the block tagged by Licenses and Inspections as eminently dangerous. The owner, S&C Management, got a court order to stop the demolition and had until April 5th to repair the property. The building couldn't last that long and came crashing down on itself in the middle of the night. Unfortunately it was not empty. Responding firefighter crews could hear the 59-year-old homeless man yelling from under the rubble. They had to 'cherry-pick' through the wreckage to reach him to avoid further collapse. He was taken to Penn Presbyterian Hospital where he was listed in stable condition. The cause of the collapse is under investigation, but Friday's rain and wind may have been a factor. A man was found dead inside his home in Delaware County on Saturday. Police were called to the home of 63-year-old Jim Scantling because friends had not heard from him for days. Officials say that he was a hoarder and his home on the 200 block of West 22nd Street of Chester was full of stuff. Police had to break the door down. He was found dead in an upstairs bedroom. It took more than an hour to clear a path and move the 500-pound man outside. The medical examiner will have to determine the cause of death and how long he has been dead. One teenager was killed and two other injured in an ATV accident in Burlington County, NJ on Saturday afternoon. It happened around 3 p.m. off of New Road and Patty Bowker Road in Tabernacle. All three were on the ATV when it turned over. A 14-year-old was pronounced dead at the scene. The other two were taken to Cooper Medical Center. The cause of the crash in under investigation. UPDATE: 14-year-old Nykolai Cunningham was driving an ATV with a 14-year-old male passenger when he lost control. He collided with another ATV driven by a 14-year-old boy. Cunningham and his passenger were thrown from the vehicle. None of the boys were wearing helmets. Cunningham was pronounced dead at the scene. The other two were taken to the hospital. Flyers goalie Michal Neuvirth collapsed on the ice in the crease during the first period of Saturday night's game against the Devils. There was 12:23 left and the Flyers were up 1-0. 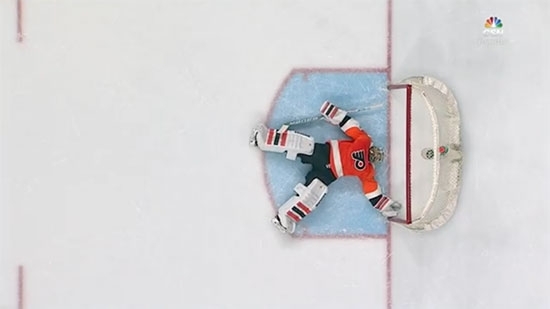 The teams were setting up for a faceoff when Neuvirth went down laying splayed out on his back. He was eventually taken off the ice on a stretcher and to Pennsylvania Hospital for observation. He is alert and doing well. He will not make the trip to New York for Sunday's game against the Rangers. Anthony Stolarz came in relief. Flyers eventually won 3-0. Eric Semborski, Temple University graduate and hockey director at the North East Skate Zone in Philadelphia, will serve as emergency backup.